Police have concluded that the suspect in the recent murder of a psychiatrist killed his own shrink due to a delusion that he had a bomb inside his head and the doctor refused to make it go away, officials said Wednesday. Wrapping up the probe, Seoul's Jongno Police Station said it referred the case to the prosecution, seeking an indictment of the suspect, identified only by his surname Park, for the murder. 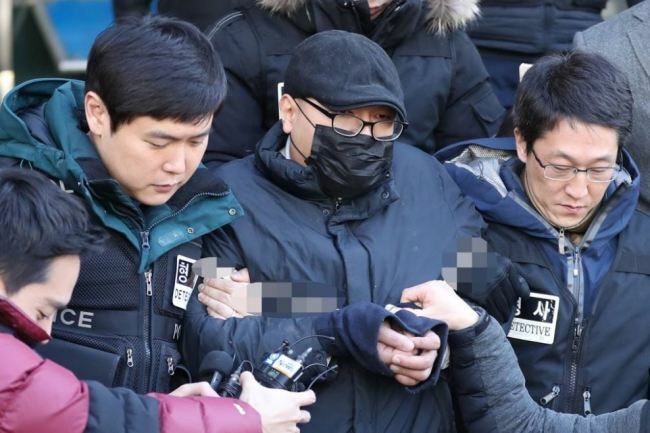 Park, 30, is accused of stabbing his psychiatrist, Lim Se-won, to death during a therapy session at Kangbuk Samsung Hospital in western Seoul last Monday. He was arrested immediately, and the police have questioned him to figure out his exact motive. Park has largely remained silent except for saying that there is "a bomb" in his head and that, when he told Lim about it, the psychiatrist called security instead of helping him get rid of it, according to the police. The police said Park was consulting Lim to treat his bipolar disorder and dissociation symptoms, citing his past medical records. Still, the police believe it was a premeditated murder as Park had carried the weapon on him before he came to the session. The suspect apparently wielded the weapon at Lim's chest multiple times. Lim died within hours.